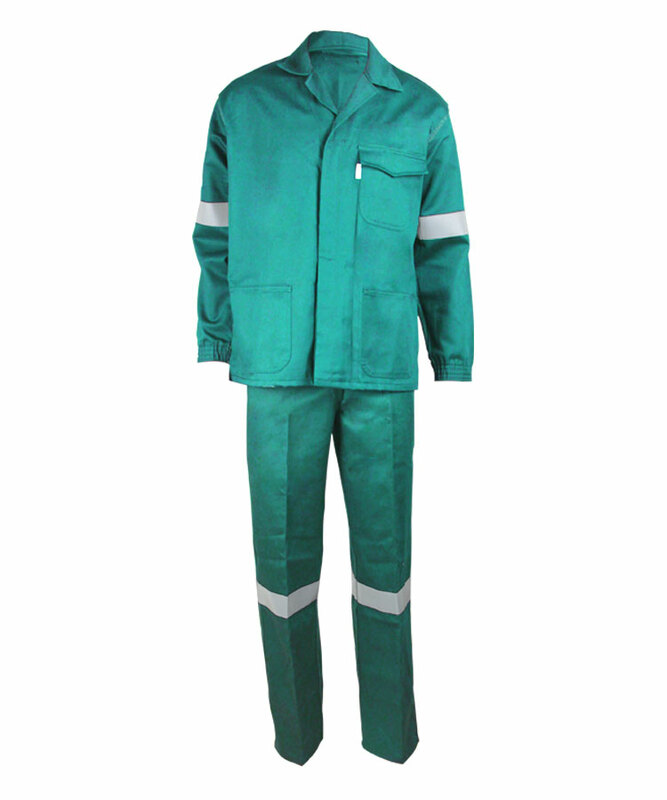 This lime green arc fr two piece suit made of 260gsm cotton arc fr fabric, and can meet EN ISO 11612, EN 61482-1-2, NFPA2112 and other standards. 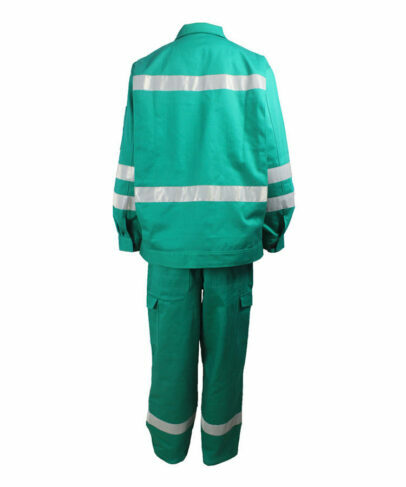 The arc fr two piece suit can prevent electric spark, electric arc and metal droplets effectively, also can prevent the spreading of flames, has good fire retardant function, quality can meet European standard and American standard requirements, and the property would not lead to failure or deterioration because of washing. Front opening is closed by double open zipper, sewing 0.6cm single line. 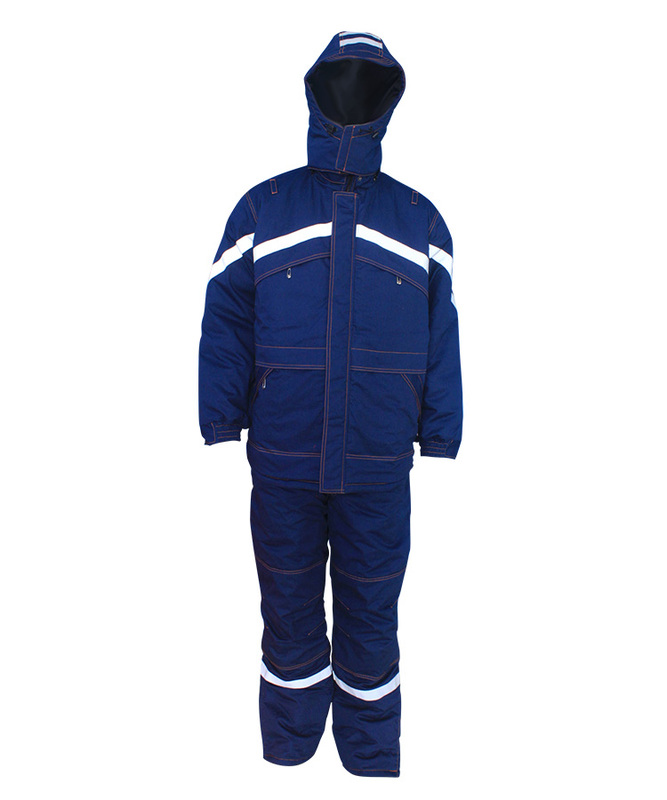 Outside is storm flap, velcro closure. Patch pocket with flap on left chest,closed by velcro. Two-in-one patch pocket on right chest+three-dimensional, patch pocket with flap, three dimensional pocket with pocket loops, all pocket is closed by velcro, right corner on pocket is taps+D button. Patch pocket on left sleeve, cuff of sleeve is sleeve slit, then sewing sleeve cap,velcro closure. 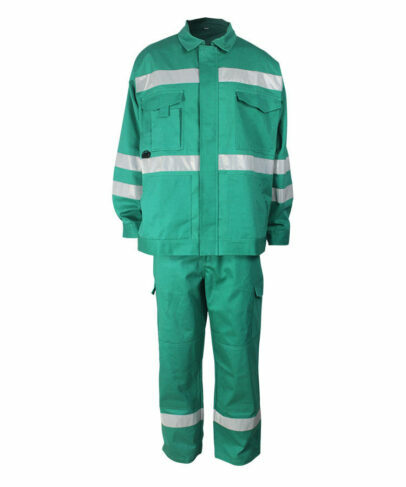 Pocket of lime green arc fr pants is slant pocket,pocket opening with pocket edge and double visible stitch,Pants loops have a D button in the right front. Patch pocket+flap on left and right sides, velcro closure. 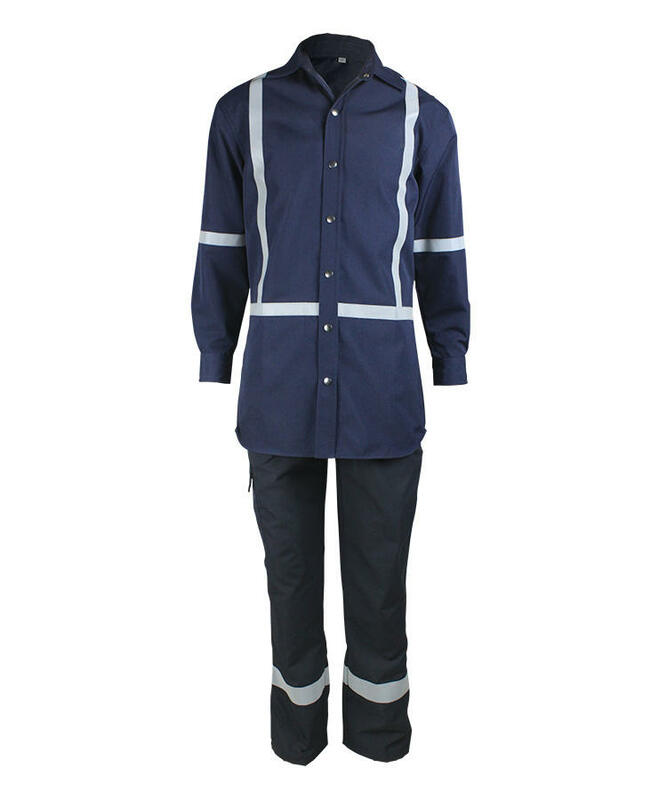 Front part and sleeve, each place are two 5cm reflective tape, and two reflective tape on back pleat. Slant pocket on waist, pocket opening add pocket edge, double visible stitch. Back part shoulder is active shoulder, wearing more comfortable and convenient. Under the kneecap is a 5cm reflective tape. 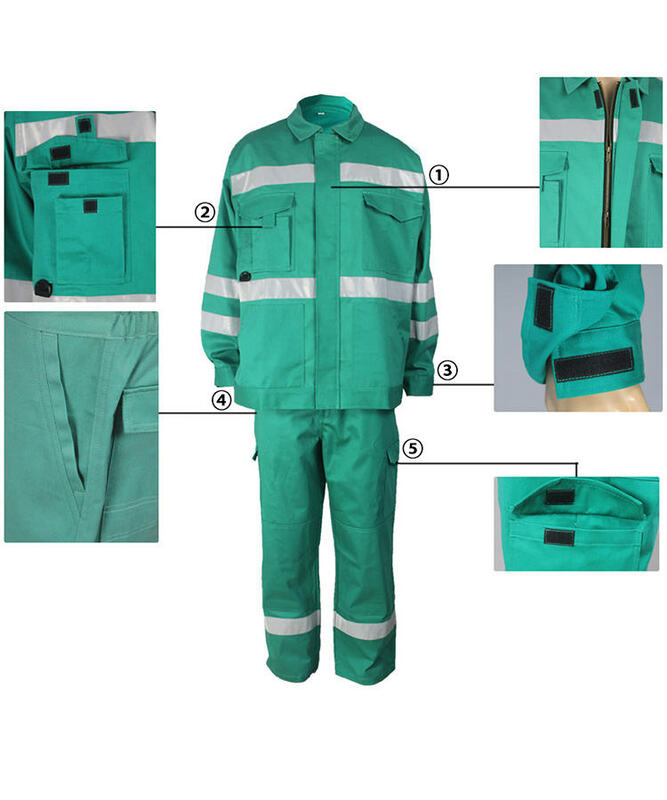 Right hip pocket is patch pocket with flap, double bottom, closed by velcro. Kneecap at the knees, the bottom is open,closed by velcro. Elastic waist, adjust the size of waist, 7 pants loop. 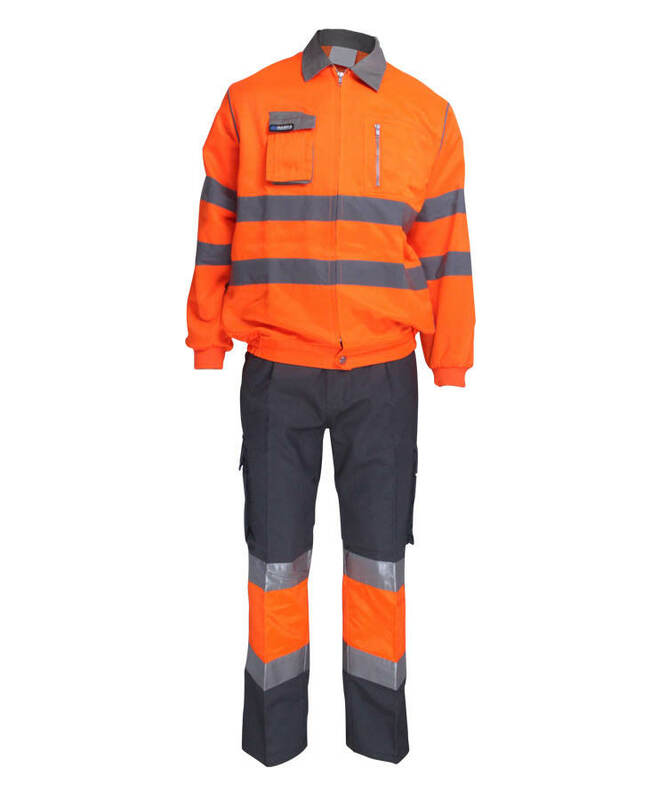 Double visible stitch on front rise and use metal zipper, waistband is closed by four eyes button. All stress place are fixed by bar-tacks.